When I read this recipe...I was like " wow,,,this is healthy and I must make this " Pickle with lemon juice...mind this this perfect for me. 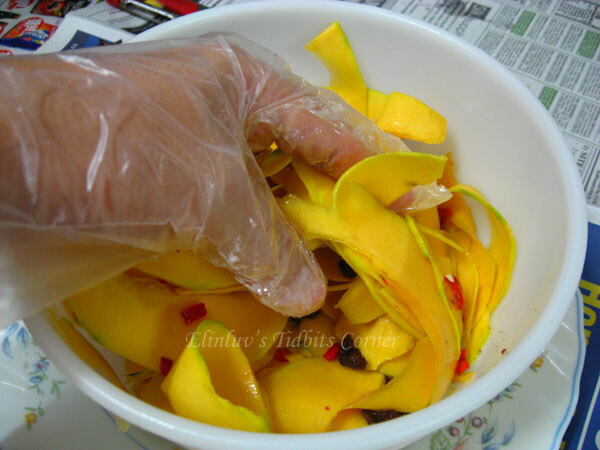 So I asked WB to take me to Jusco and I got myself a small chunk of organic pumpkin to make this yummilicious pickle. 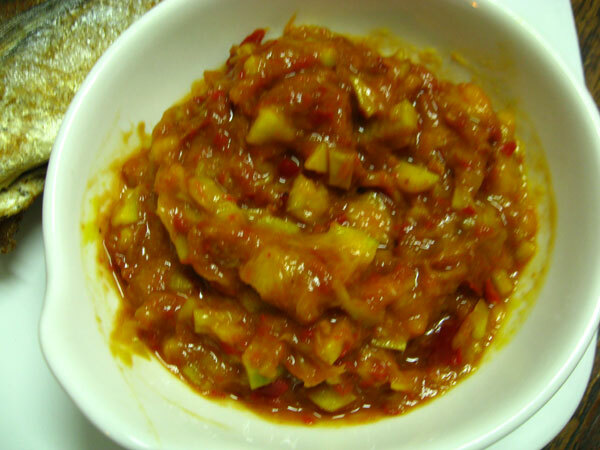 And to add flavor to this pickle...added some asam boi and chilli to it. 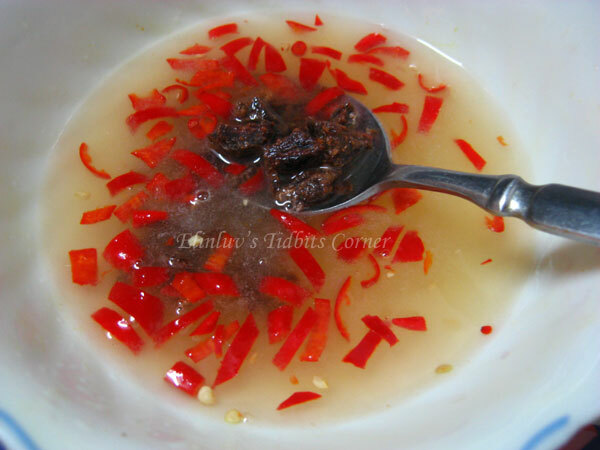 This is truly addictive....refreshing, crunchy and slight spicy hot after taste. 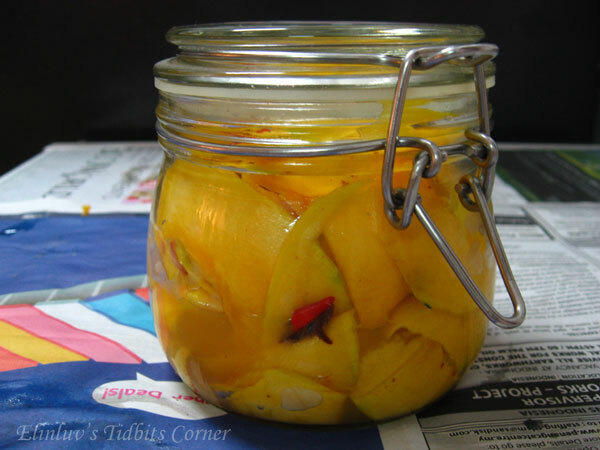 A wonderful and healthy pickle that will have you craving for more. Eating pumpkin raw is my first time. 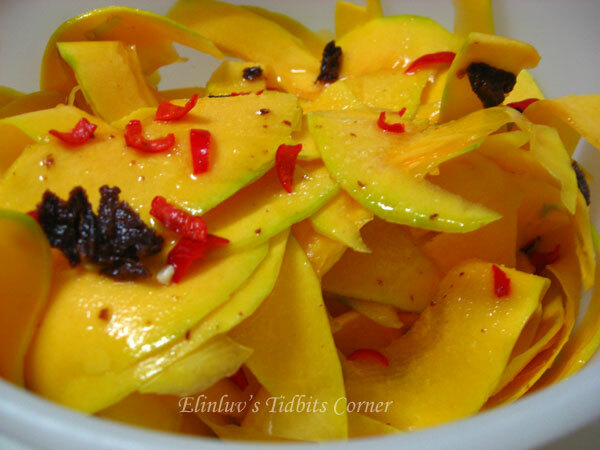 This is better than the pickle green papaya ...of course, this is my personal preference :)Try this pickle..you will agree with me. The pumpkin should not be over ripe. 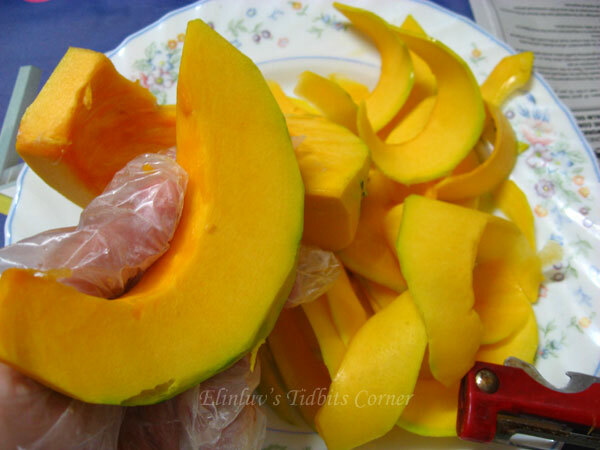 love the color of the sliced pumpkin..
Peel off skin and peel pumpkin slices thinly. Mix together pumpkin slices with (A) in a mixing bowl. Let it rest for an hour. 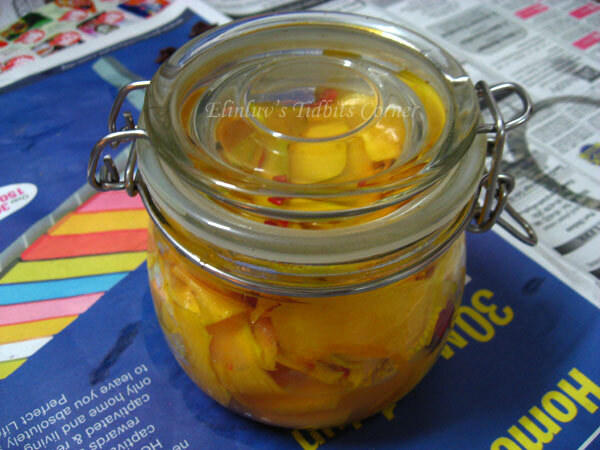 It is ready to be packed into a glass jar and store in the fridge over night . 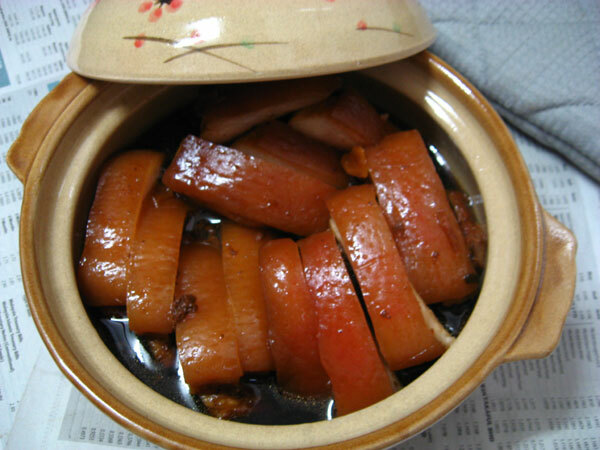 Pickle is ready to be served as a side dish or snacks. 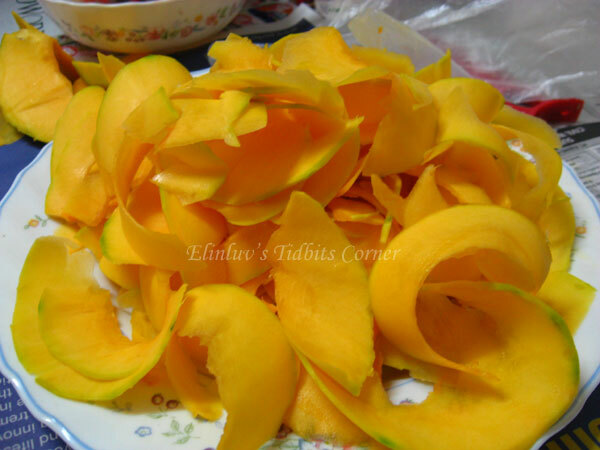 Kuini or Mangifera odorata is a mango variety that is to be native to tropical Asia, specifically to West Malaysia. 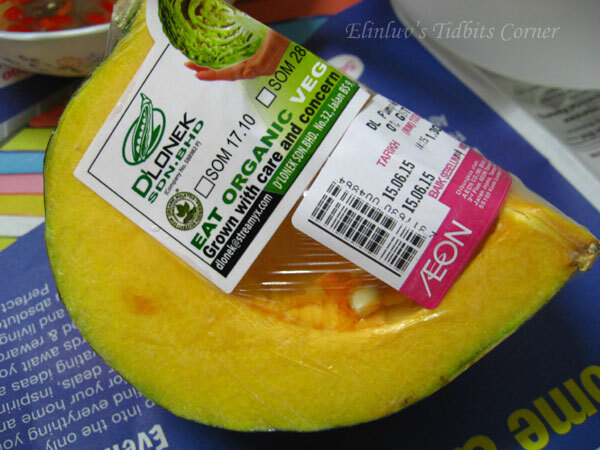 The fruit is light orange in colour and juicy sweet when ripe. The tree has a distinct feature, i.e. 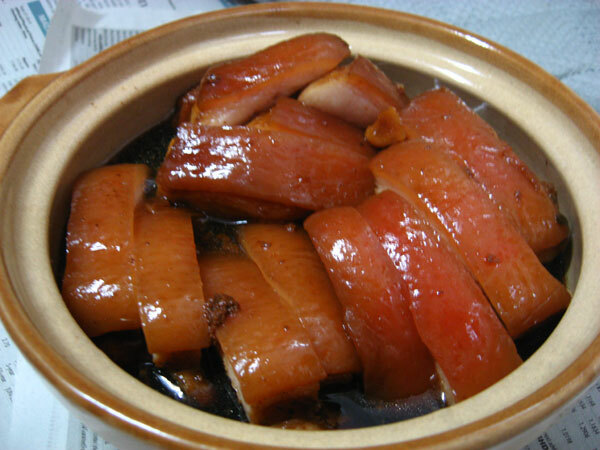 emits a fragrant resinous smell. The tree flowers throughout the year and the flowers too are strongly scented with its fragrance. 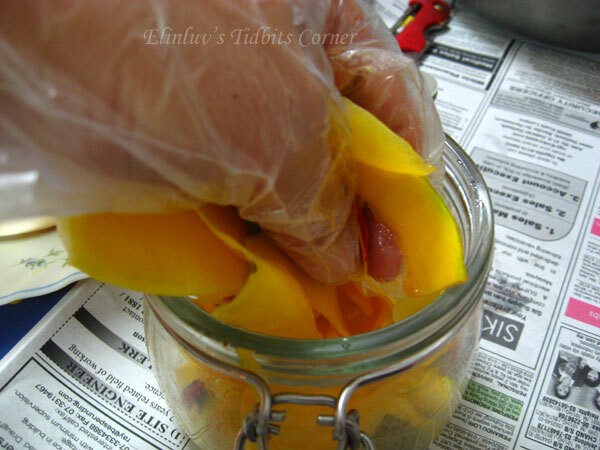 The sap on unripe kuini fruits is poisonous. 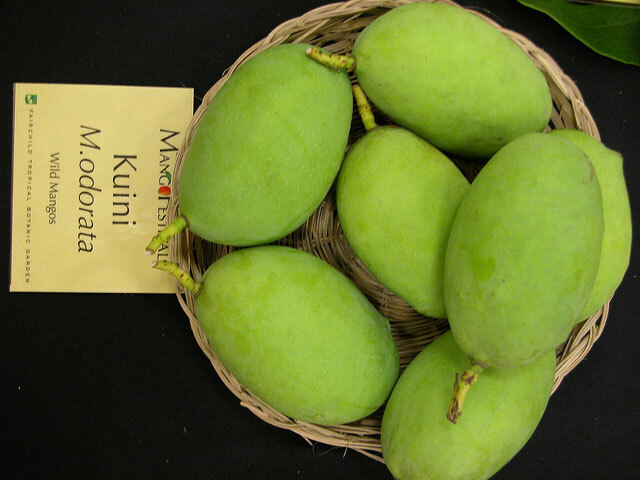 Kuini (Mangifera odorata) commonly found in East Malaysia's Jungle (Borneo) has spherical, almost round shape, dark green and green when ripe. It has strong odour which can be detected from afar. Pound chillies in traditional mortar and pestle till pulp..meanwhile toasting the belacan in a wok over low heat..once the belacan is fragrant and well toasted, add to the pounded chillies and continue pounding till well combined. 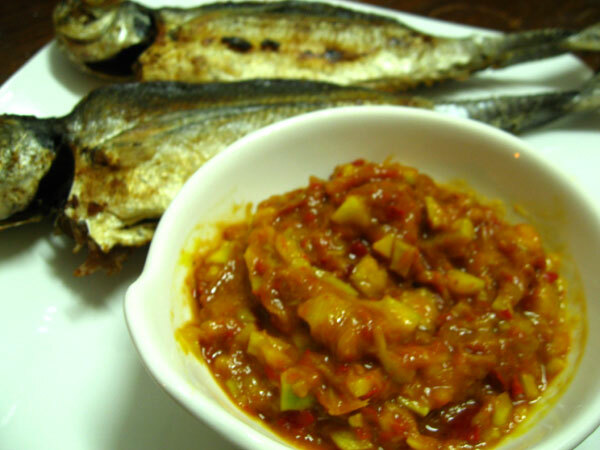 Add chopped kuini to the sambal. 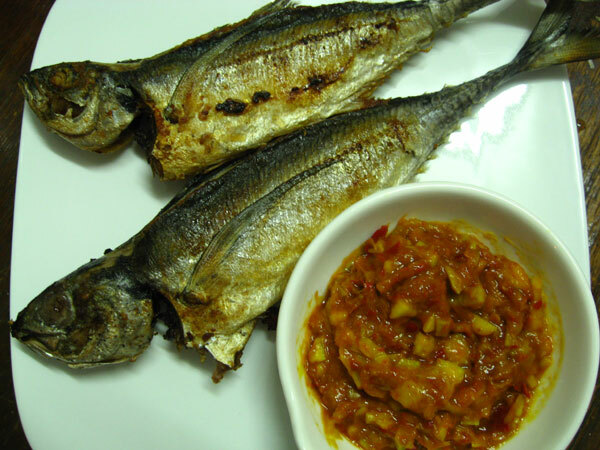 Mixed well and served with fried Cincaru or any fish of your choice.